Perry Groves has urged Arsenal to sign Jack Butland as Petr Cech’s long-term replacement. The Gunners lost 2-1 to Manchester United at Old Trafford on Sunday evening to rule out their slim prospects of a top-four finish. Arsenal have lost 10 of their 17 games on the road in the Premier League this season after the Gunners defence conceded 46 times in 38 games. 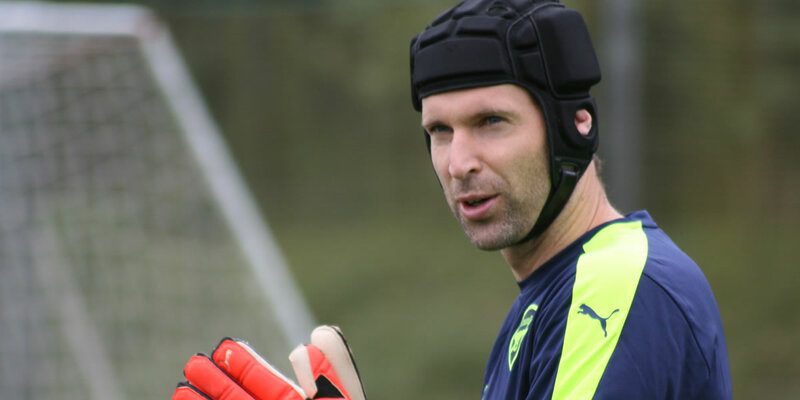 Cech has allowed his standards to slip in the current campaign to raise questions about his future as number one at the north London side. Arsene Wenger is set to stand down at the end of the Premier League season following another disappointing campaign. England international Butland has also endured a mixed season given the Stoke relegation troubles. Former Arsenal legend Groves is hoping that the Gunners consider a potential swoop to sign Butland in the summer transfer window. “I want Jack Butland to replace Petr Cech as Arsenal’s goalkeeper and I would take him in a heartbeat,” Groves told sportingbet. “I think he’s one of the best young goalkeepers in the country and he has a huge physical presence. Arsenal are in sixth place in the Premier League table having failed to break back into the Premier League’s top four this term.